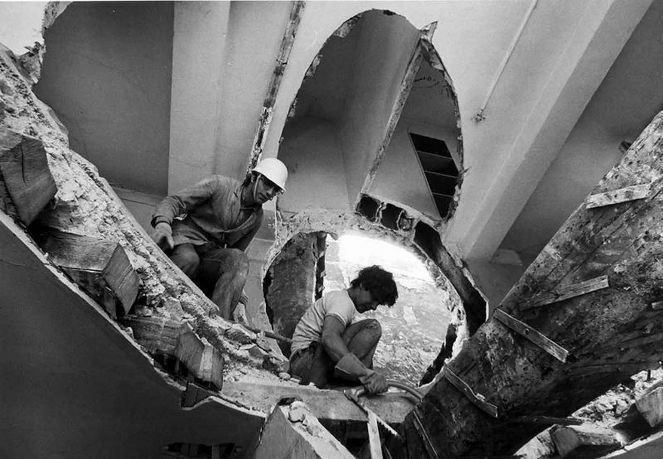 Gordon Matta-Clark working on Conical Intersect, 1975, Paris. 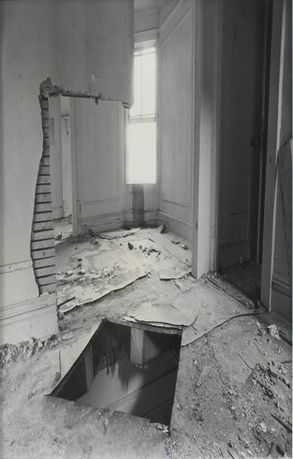 Courtesy of the Estate of Gordon Matta-Clark. Gordon Matta-Clark: Anarchitect features approximately 100 works by the artist, rarely seen archival materials, and related elements from the Bronx Museum's permanent collection. 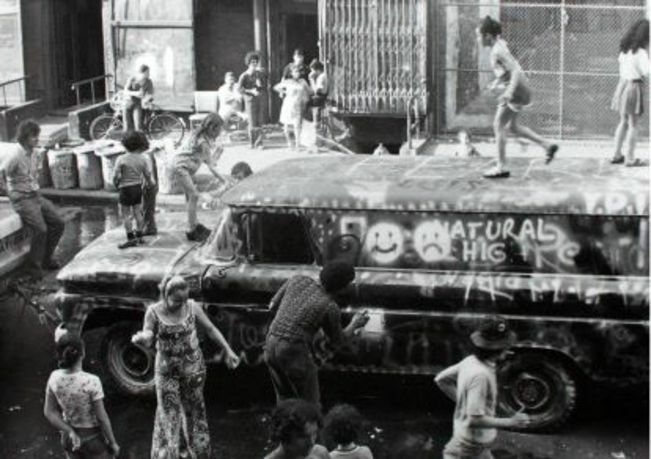 Matta-Clark is recognized for his groundbreaking legacy in challenging the established boundaries of art, architecture, film, performance, and sculpture, yet his abiding connection to the Bronx, his engagement with the city at a moment of radical transformation, and his relational and activist-inspired approach continue to demand fresh curatorial perspective. 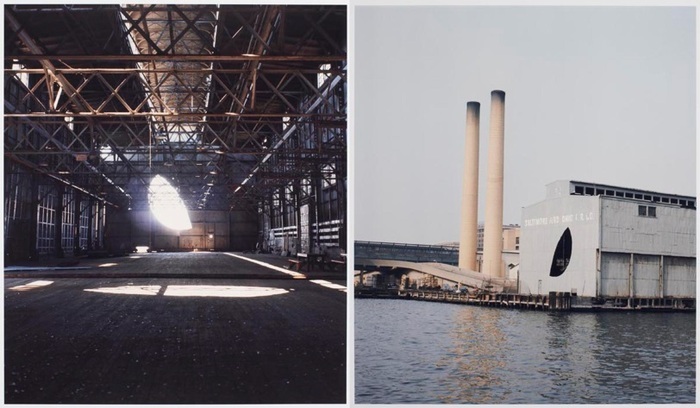 Anarchitect examines Matta-Clark's impact on rethinking architecture after the fall of modernism's urban utopia, and demonstrates the unique role played by the Bronx in his artistic development and sociopolitical engagement. Retaining Matta-Clark's belief in art as a continually unfolding dialogue, this exhibition brings a new relevance to his work, in pointed rebuke of selective urban neglect and development as cultural effacement. The exhibition will be on view at the Bronx Museum until early 2018, before touring to selected European venues through 2019, including the Jeu de Paume, in Paris; the Kumu Art Museum in Tallinn, Estonia; and the De La Warr Pavilion in East Sussex, England. Sergio Bessa was appointed the Bronx Museum's director of Curatorial and Education Programs in 2003. A distinguished curator and scholar, his exhibitions for the museum include the critically acclaimed retrospective Martin Wong: Human Instamatic (2015), Three Photographers from the Bronx (2015); Paulo Brucksy (2013), and Joan Semmel: A Lucid Eye (2013). Bessa's publications include the exhibition catalogue Martin Wong: Human Instamatic (BxMA/Black Dog Press, 2015) and Beyond the Supersquare: Art & Architecture in Latin America after Modernism (BxMA/Fordham University Press, 2014). He has over twenty years worth of experience as an educator, and has created a variety of initiatives supporting innovative arts engagement for Bronx audiences. Bessa completed his PhD in art education from New York University and earned an MFA from Pratt Institute. 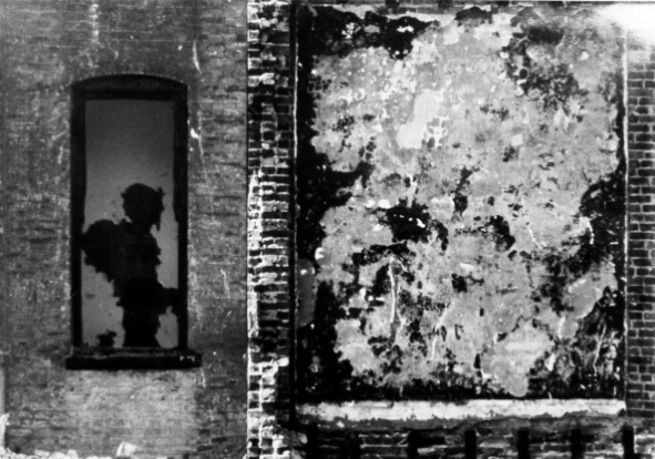 Jessamyn Fiore is an independent curator, writer, and codirector of the Estate of Gordon Matta-Clark. 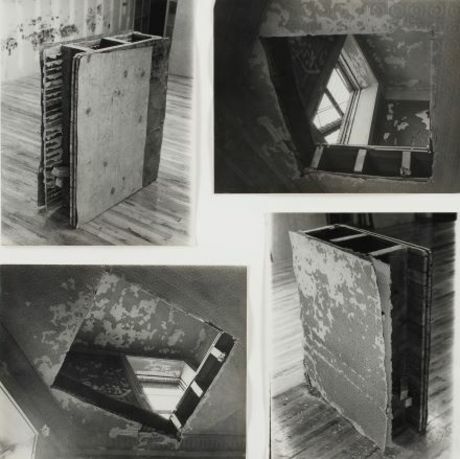 Among the exhibitions she has curated is the critically acclaimed group exhibition 112 Greene Street: The Early Years (1970–1974), for which she edited the accompanying catalogue, and Gordon Matta-Clark: Above and Below (2013). From 2007 to 2010, she was director of Thisisnotashop, a nonprofit gallery in Dublin, Ireland, where she curated the exhibitions Gordon Matta-Clark: FOOD (2007) and Fluxus with Larry Miller (May 2009), among others, with exhibitions touring to the TATE Modern in London and X-Initiatives in New York. Fiore is also a playwright whose plays have been performed internationally; her original one-act play Blast from The Past (2014), based on the writings of Robert Smithson and Gordon Matta-Clark, was published by the Bureau for Open Culture. She received her master’s degree in contemporary art theory, practice, and philosophy from the National College of Art and Design, Dublin. Andrea Andersson, catalogue contributor, is chief curator of the visual arts at the Contemporary Arts Center, New Orleans. A leading scholar in the field of interdisciplinary artistic practice, she has taught at NYU and Barnard College, and her writing has appeared in scholarly journals and catalogues. 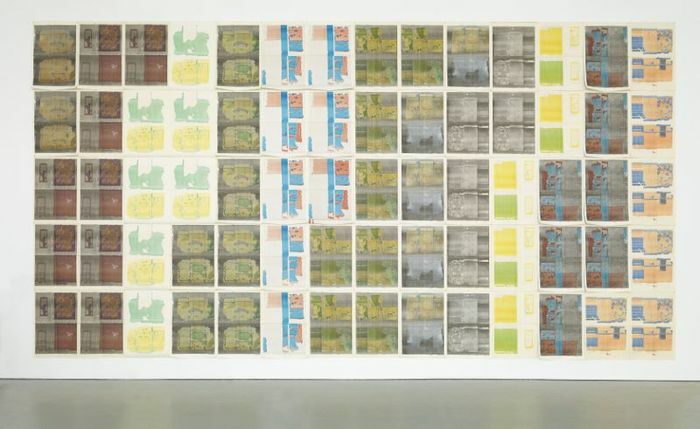 Andersson co-curated the travelling exhibition Postscript: Writing after Conceptual Art, which toured to venues, including the Museum of Contemporary Art, Denver; the Broad Art Museum, Los Angeles; and the Power Plant Art Gallery, Toronto. She coedited the companion volume to the exhibition on the subject of conceptual writing, published by the University of Toronto Press. Cara Jordan, catalogue contributor, received her doctorate in art history from the CUNY Graduate Center, where her dissertation, Joseph Beuys and Social Sculpture in the United States, explored socially engaged public artwork created during the Reagan–Bush era. Her work also examines alternative models of artistic education, and the artistic response to urban gentrification and racial and gender empowerment through community-based art. Jordan's writing has been published in scholarly journals, including Public Art Dialogue, and she is the editor of Peter Halley's forthcoming catalogue raisonné. In addition to writing and lecturing, Jordan has also curated numerous public art projects in New York. Founded in 1971, the Bronx Museum of the Arts is a contemporary art museum that connects diverse audiences to the urban experience through its permanent collection, special exhibitions, and educational programs. Reflecting the borough's dynamic communities, the Museum is the crossroads where artists, local residents, national and international visitors meet.